BMW recently revealed its , the X2. The car is pretty clearly designed to appeal to younger buyers and attract them away from competitors like the Mercedes GLA. 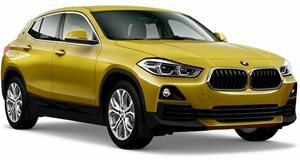 So far, BMW has only announced the X2 in xDrive18i, xDrive20i, xDrive28i, xDrive20d and xDrive25d trims, available with either a six-speed manual or seven-speed dual-clutch. However, most of those options will only be available in Europe, so the US will probably just get the 228 hp xDrive28i with the dual-clutch and AWD. The X2 shares a , which is also shared with the Mini brand. 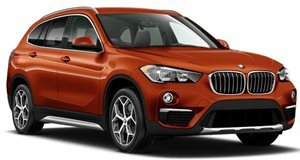 Clearly BMW didn't design the X1 or X2 to be the sportiest models in the range, but reports that there will be a more powerful version of the new X2. Unfortunately, this new X2 will not be a , but badged as an M Sport instead. BMW has had such as the M240i, which was formerly known as the M235i. Even though the M235i name was changed, it looks like it will soon make a comeback on the X2. BMW will come out with a performance version called the X2 M35i. The X2 M35i will make use of BMW's 2.0-liter B48 engine. The new version of the B48 will come with the codename B48A20T1, and produce 300 hp. This is a far cry from the 2.0-liter 385-hp engine in the GLA45 AMG, but it is a nice bump over the base X2. The high-performance X2 M35i should be available in the US by late 2018 or early 2019.